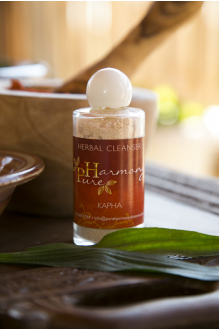 Pure Harmony herbal cleansers are designed to address specific skin care needs while gently cleansing, exfoliating and balancing the skin without stripping the skin of it’s natural pH balance, leaving your skin clean, smooth and supple. A gently exfoliating cleanser nourishes and moisturizes with comfrey, sandalwood, and aloe vera to restore smoothness, softness and hydration. Soothing and restorative neem, sandalwood, rose petals and lavender, balance and repair sensitive, combination or blemish-prone skin. 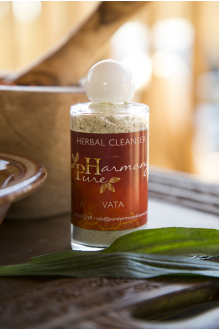 Vata Herbal Cleanser - 2 oz. 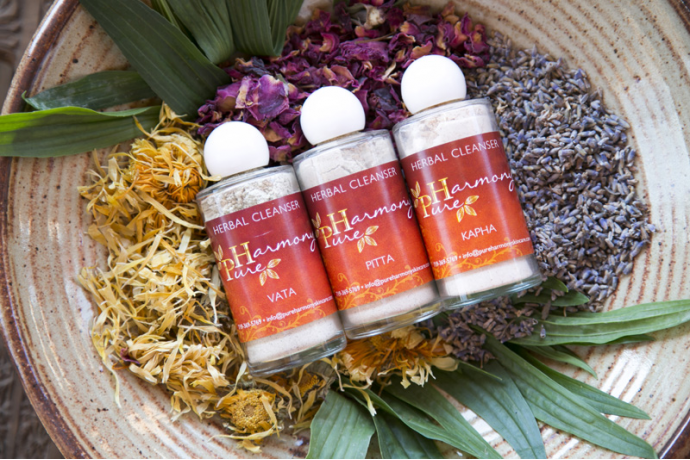 VATA - dry/dehydrated skin: A gently exfoliating cleanser nourishes and moisturizes with comfrey,..
Pitta Herbal Cleanser - 2 oz. 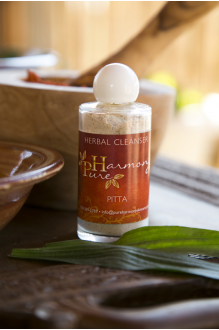 PITTA – sensitive/combination skin: Soothing and restorative neem, sandalwood, rose petals and la..
KAPHA: - oily skin Purifying Sandalwood, ritha and turmeric combine to help reduce oiliness and s..